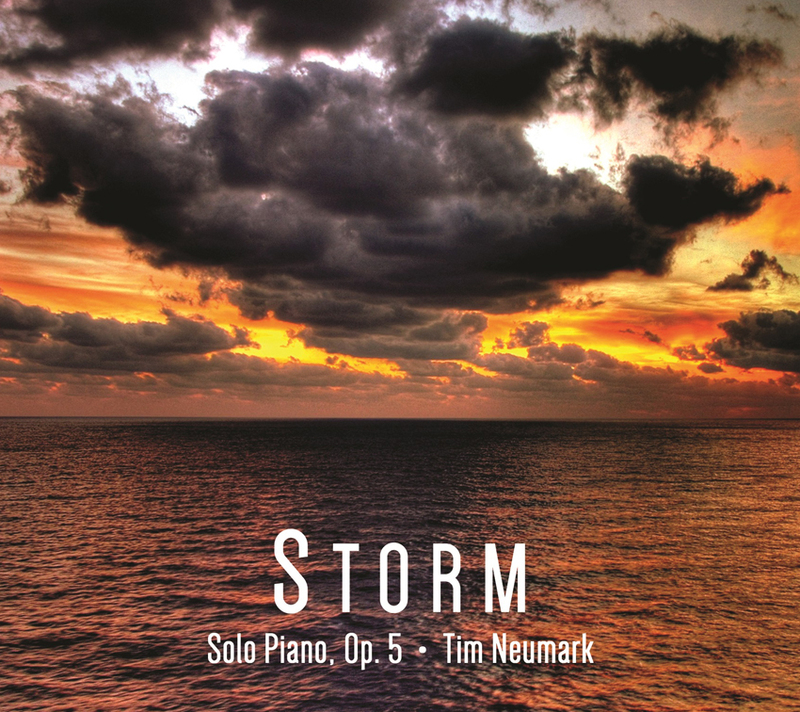 Tim Neumark creates a Storm of emotions with his piano on his recent release. The CD includes 12 tracks that were released as singles from 2013 to 2014. The artist has released four previous albums and now introduces a beautiful tapestry of emotions and tastes through his talented fingers. Neumark’s focus is the range of emotions that include anger and heartbreak and all of the situations that arise during those feelings. The list is long for the human condition and although the atmospheres created have a laid back sad tone to them, the beauty of each track is easy to recognize. This man is tremendously talented. His special touch and classical new age sounds will soothe and heal a soul just waiting for that moment to arrive. 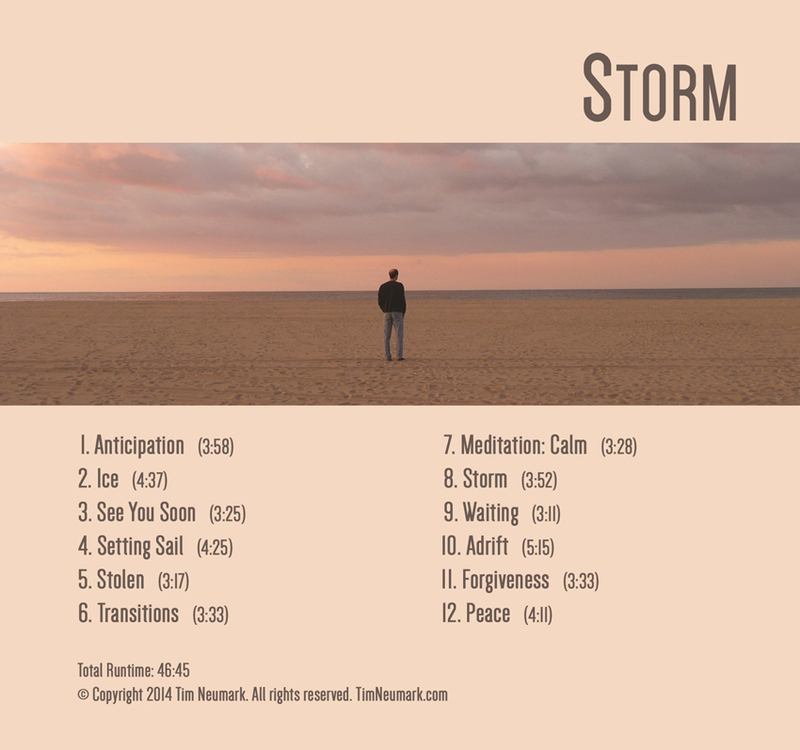 As Neumark explains on his website…There is a different mood than previous albums, Storm contains almost all minor tracks, reaching a deeper emotional depth including both anger and heartbreak. In an era where individual tracks are the norm, Storm was composed as a single project that's meant to be experienced from the first track to the last, while also providing tracks that are memorable enough to stand alone. I felt using that passage encapsulates what you will get while listening to Storm. Right from the door opener to your soul “Anticipation,” it sets the mood instantly. Anticipation eventually leads to “Transitions” then to the solace and grace of the heaven sent “Meditation: Calm.” Every track gently nudges you in the right direction while inviting the healing process to begin. What I enjoyed most about this album was its utter simplicity. The effect is direct and stunning. This is indeed a most beautiful Storm that you will want to experience over and over. Neumark’s classical influences are everywhere on this recording yet he is able to introduce it all with a new age flare and precision that serves a higher purpose. Music so expressive and elegant definitely can be your own private Chicken Soup For The Soul.